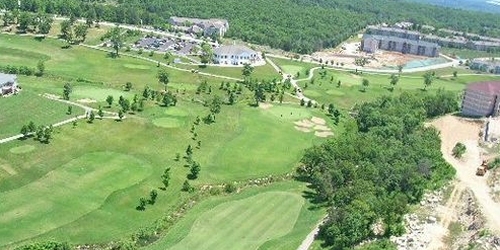 The golf course at the Thousand Hills Golf Resort in Branson Missouri is known far and wide as the most popular golf resort in Branson for good reason. This 18-hole public golf course was rated 4-Stars by Golf Digest magazine and was voted Best of the Ozarks for Branson Golf Courses by the readers of the Springfield News-Leader numerous times. When calling 888-239-1140, please mention you saw this golf package on GolfMissouri.com and mention promo code: GolfMissouri.com. Thousand Hills Resort and Golf Club reserves the right to change price and offer at anytime. Prices and offer are subject to change without notice. GolfMissouri.com is not responsible for errors posted in this golf package.